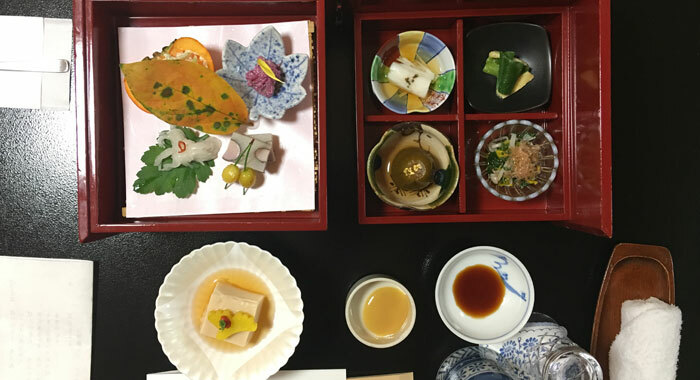 MATSUSHIMA, Japan — Had it not been for a little flower and the inspiration it generated, I might never have had the opportunity to enjoy, on the grounds of a Zen temple, a meal from a cuisine declared by the United Nations as an expression of Intangible Cultural Heritage for safeguarding. 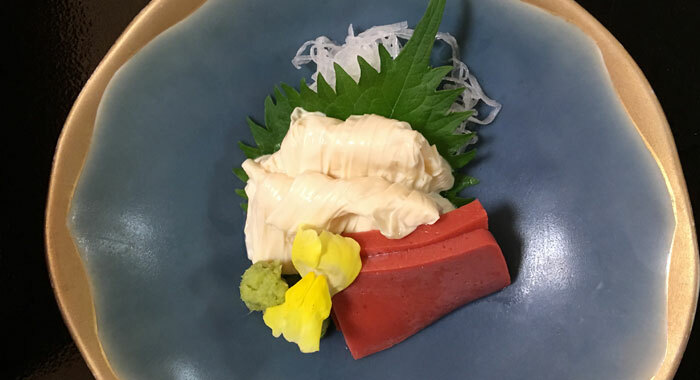 The inspiration had come to restaurateur Kyoko Amano one evening as she was leaving the battered remains of Ungai, then her once-world class restaurant, which she had decided she would close for good. She felt daunted by the challenge of rebuilding the facility, which had been significantly damaged by the Great East Japan Earthquake of March 2011. The earthquake, and the ensuing tsunami, claimed more than 19,000 lives as the sea marched, almost unfettered, several kilometres inland. However, when the tsunami rushed up to the gate of the Zen temple, Zuiganji, a Japanese national treasure on the grounds of which the restaurant is located, it was as if some invisible force told the waters that they could go no further. After the earthquake, Amano, her staff and their patrons evacuated to the hills behind the facility when the tsunami warning was issued. “The tsunami was a very dreadful experience,” she said, adding that she watched as the tsunami waves approached the area. Amano was convinced that her business had been washed away. “I was expecting to find everything destroyed, but the tsunami stopped at the gate of the temple,” she said. 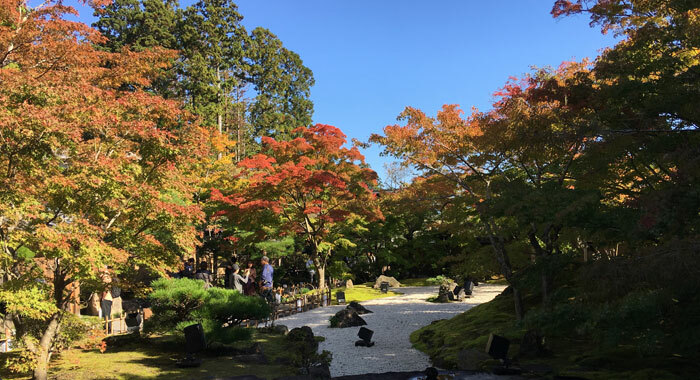 “The beautiful Japanese garden remained intact, hence, people from all over the world can enjoy the beauty of autumn here,” she said, gesturing at the plants in their autumnal splendour, seven years after the quake. But in the immediate aftermath, Amano found the restaurant — which is built in traditional Japanese style — with its walls, windows and doors separated from the seams. The restaurant remained shut for one year after the earthquake. Amano had seriously considered closing it down. Then came that day when as she was leaving the facility and feeling depressed, she saw a butterbur flower beginning to bloom. Despite the destruction, beauty was reclaiming its place in nature’s order. And this inspired her to call in her staff and rebuild Ungai, which has served the likes of former president of Taiwan, Lee Teng-hui, G7 leaders, and corporate heavyweights such as the head of Toyota. 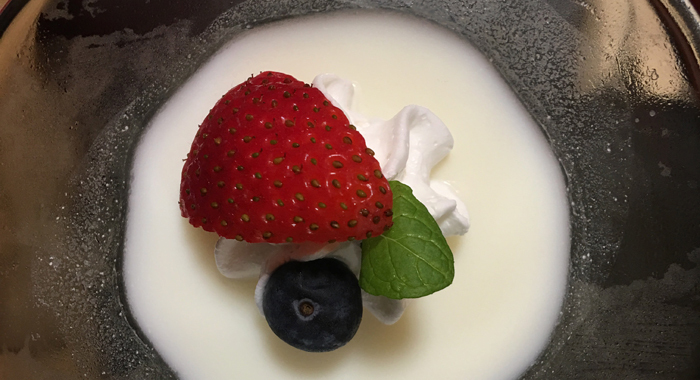 In 2013, washoku, or traditional Japanese cuisine, was added to the UNESCO list of Intangible Cultural Heritage because it is an example of the Japanese spirit of respect for nature, and for the traditional social customs which are passed down through the generations. 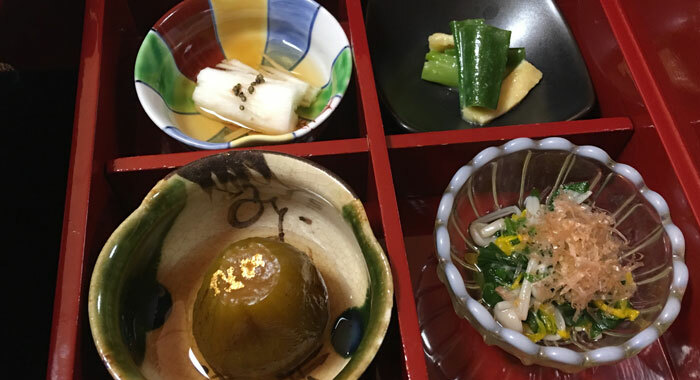 Amano’s restaurant serves kaiseki, a set multi-course meal often featuring seasonal ingredients. In summer when it’s hot outside, the restaurant serves cold dishes. The converse is true in winter. At Ungai, the food is all vegetarian and draws inspiration from the simple meals that Japanese monks consume. 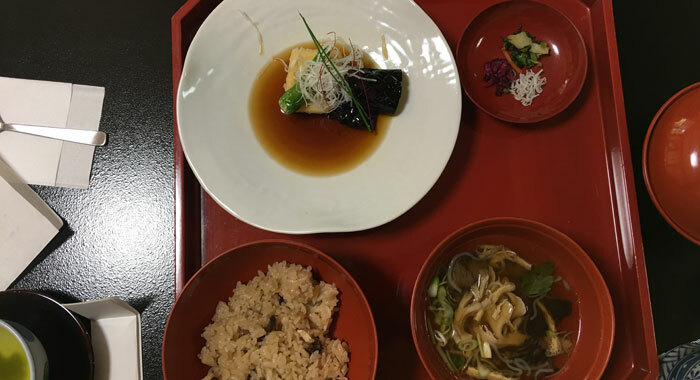 On Oct. 27, 2018, in her restored restaurant, which thrives in the simple beauty that characterises Japanese architecture, Amano explained to participants in the 2018 APIC-FPCJ Pacific-Caribbean Journalists Program that her dishes focus on both taste and experience. 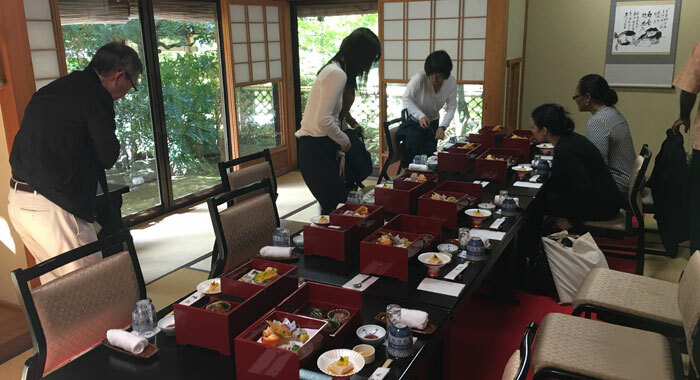 The restaurant can host a maximum of 80 guests for lunch, but a booking must be made in advance. For our October meal, one of the organisers of our trip to Japan made a booking in June. And so, we learned the story of how a little flower inspired the preservation of thousands of years of heritage. 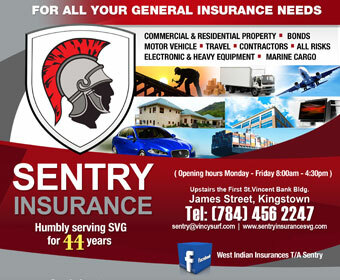 Editor’s Note: Kenton X. Chance, executive editor of iWitness News was one of five journalists to participate in the 2018 Pacific-Caribbean Journalists Program in Japan. See all of his articles and videos from the programme here. Another beautifully written piece though I fear that most of our people if offered a choice between kaiseki and KFC would always choose the latter. Mr. Chance, I know you resent it when I insult our people but I truly believe you are casting pearls before swine with this lovely essay. If something is true, is it really an insult?